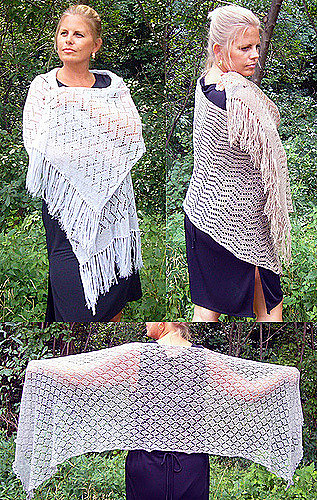 3 lace shawl patterns in 1! This pattern includes written instruction and charts for all three patterns. 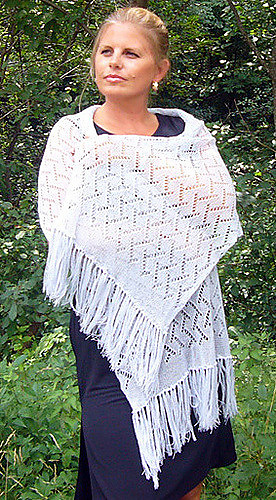 Each shawl measures 30” x 60” without fringe. The lace stitch patterns are intermediate level, and there is no shaping!